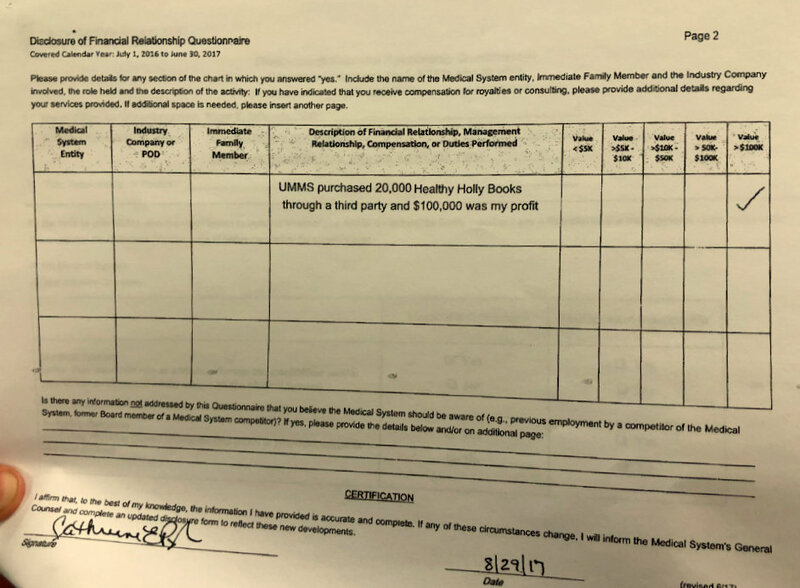 How Baltimore’s mayor used a hard-to-trace LLC to accept money-for-books from UMMS. Her payments called out by Sen. Jill Carter. On January 13, 2011, shortly after then-state Senator Catherine Pugh received the first bulk order for her self-published children’s book from the University of Maryland Medical System, Keith E. Timmons formed a company called Healthy Holly LLC. The company’s purpose was “for the manufacture and distribution of various products and/or services related to healthy holly brand and lated [sic] activities,” according to documents filed with the state. A month later, Timmons changed the address of the LLC from his downtown Baltimore law office to the Ashburton residence of Pugh, whom Timmons served as her campaign committee treasurer. Through this company – which continues to be registered in Timmons’ name – UMMS funneled $400,000 to Pugh, with the latest order made late last year when Pugh’s “day job” had become serving as Baltimore’s mayor. The system’s money resulted in the printing of 80,000 copies of various editions of “Healthy Holly,” together with 20,000 copies of the first edition ordered before January 2011. In all, UMMS paid Baltimore’s mayor $500,000 for the books. According to Pugh’s office, the books were shipped to Baltimore City Schools where they were distributed among kindergartners to third graders. • The books were not used for school instruction – see comments of City Schools spokesperson below. Pugh has been a member of the UMMS board of directors since 2001. As a state Senator between 2005 and 2016 – and especially as chair of the Health Subcommittee of the Senate Finance Committee between 2013 and 2016 – she had sway over tens of millions of dollars of state contracts going to the taxpayer-subsidized hospital system. 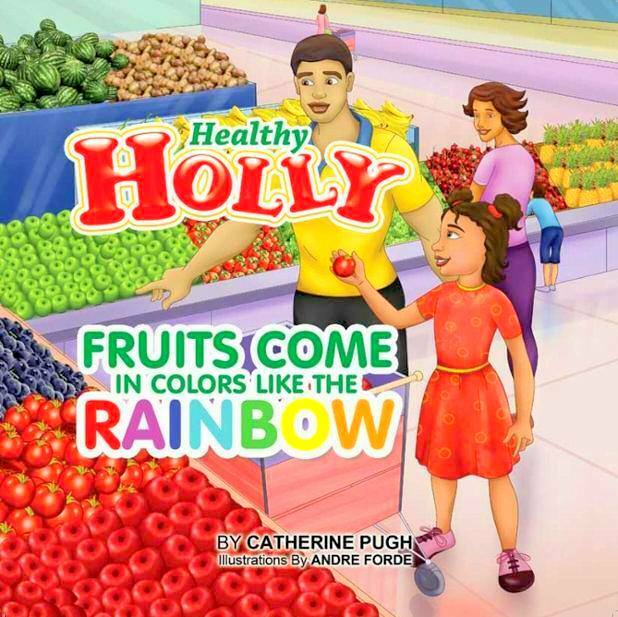 Cover of one of the four “Healthy Holly” books written by Catherine Pugh. Pugh’s book-buying arrangement with UMMS was disclosed this week as an outgrowth of a bill introduced by state Senator Jill P. Carter that calls for better controls over private contracts between the hospital system and board members. Carter was a strong supporter of Pugh’s mayoral run in 2016 and was rewarded by being appointed by Pugh the director of the Baltimore Office of Civil Rights and Wage Enforcement. But Carter was forced to resign the position after the Pugh’s law department chief, Andre M. Davis, informed her that state ethics law prohibits her from holding the positions of state senator and director of the Civil Rights Office at the same time. Carter, named to the Senate seat last spring after Nathaniel T. Oaks resigned amid federal corruption charges, disagreed with Davis’ interpretation. Members of the Baltimore City Community Relations Commission, which works with the Civil Rights Office, called on Pugh to allow Carter to continue to lead it. But Pugh said Carter could not serve in both capacities at once – and Carter was out of a $121,400-a-year job. The Healthy Holly books were donations – neither requested nor paid for by BCPS, says spokeswoman Anne Fullerton. Other arrangements could have been made for subsequent distribution, but the only record of those arrangements would have been through emails that are not archived, she said. The books were not used in the classroom, says BCPS. How many students would have received the 100,000 Healthy Holly books purchased or under contract by UMMS? The current year pre-K through grade 5 enrollment is 41,496, Fullerton said. The Healthy Holly revenues to Pugh from UMMS were first reported as limited to $100,000 by the Baltimore Sun. Yesterday, The Brew’s review of records at the Maryland Health Services Cost Review Commission showed the $400,000 Pugh received from the sale of her books to UMMS through August 2017. The mayor’s office said a fifth $100,000 order is now under production. These books are listed as unavailable at amazon.com. There had been no online reviews of them until the recent disclosures of their multiple large purchases by UMMS. 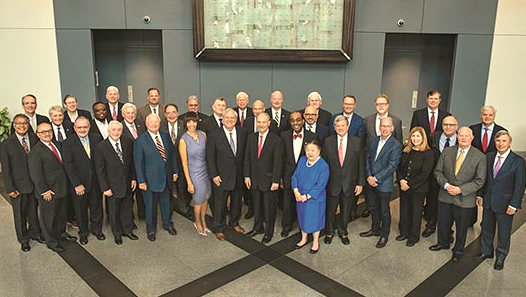 In a written statement, Pugh has defended the payments, saying, “I have fully conformed with all disclosure requirements as a board member of the University of Maryland Medical System. If it is the decision of the General Assembly to change those requirements, I will, of course, comply with any and all new regulations. She also said that what she originally wrote in four separate disclosure forms – that “$100,000 was my profit” – was an error. She said it cost her $4 per book to self-publish, and she sold each book to UMMS for “a modest $5,” earning a 20% profit on the $500,000 paid by the hospital. The Brew requested receipts of her publishing costs, and further asked why the unit price of printing wouldn’t drastically decline as a result of the large orders. Before selling her books to UMMS, Pugh made an earlier effort to cash in on the children’s market. The company was registered in the name of Desmond Stinnie. Pugh’s district Senate office on Druid Park Drive was the address of the business. This first iteration of Healthy Holly was forfeited “for failure to file property return for 2009,” according to online records at the Maryland Office of Assessments and Taxation.